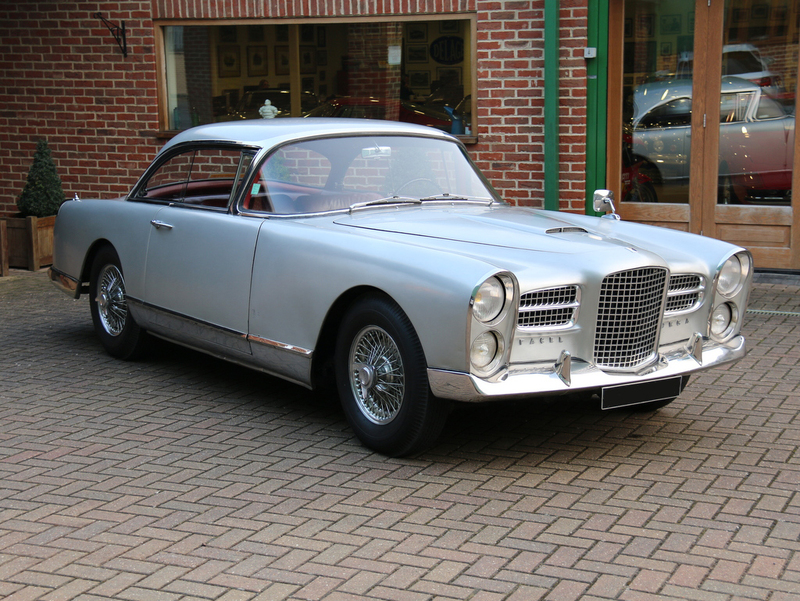 FVCC member Adam Sherring has told me that the ex-Maurice Trintignant Facel Vega FV3B is currently for sale in the UK at the top quality JD Classics dealership. This car was only recently sold at Retromobile by Artcurial for a price quoted in Classic & Sports Car at £149,872, but according to Adam it is now for sale at £187,000. As the particulars on the JD website note, it is the last of the 91 FV3Bs produced, all of which were left hand drive and it was owned by Trintignant for some years. He was a French Grand Prix driver of some note, contesting 82 Grands Prix in the fifties to mid-sixties in a wide variety of machinery, from Gordini to Ferrari, Vanwall, Bugatti, Cooper, Maserati, BRM, Aston Martin, Lotus and Lola. He twice finished fourth in the World Championship, being most selective of his wins; he only won in 1955 and 1958 in Ferrari and Walker Cooper respectively. He shared his interest in Facels with Rob Walker who owned two. Trintignant died in 2005 aged 87. JD Classics is a very well respected classic car business based in Maldon, Essex but with a showroom in Mayfair. It largely deals in Jaguars and Ferraris plus other top marques. They employ some 60 craftsmen. Top quality work means top prices so you can expect this car to be top notch, but remember, it will be left hand drive. Incidentally, while we’re on the subject of racing drivers, I’m hoping to publish a previously unknown story about another F1 driver and Facel Vegas soon, so watch this space!